So as a "spur of the moment" idea I decided to take a quick trip to Naperville, IL to the Dark Days of Supernatural Summer Tour that was being held at Anderson's Bookshop on June 7th. The authors on the tour were Veronica Roth- Divergent, Ellen Schrieber- 8 Cryptic Cravings (Vampire Kisses Series), Aprilynne Pike- Illusions (The Wings Series), Tara Hudson - Hereafter, and Amy Plum- Die for me. 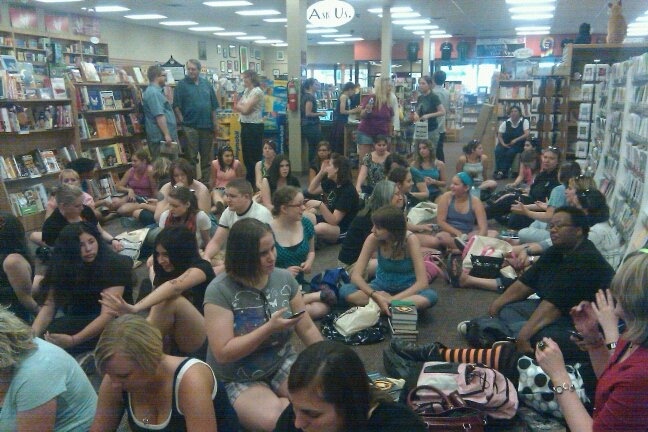 This was my very first tour and signing, so I was very excited to have the opportunity to go. 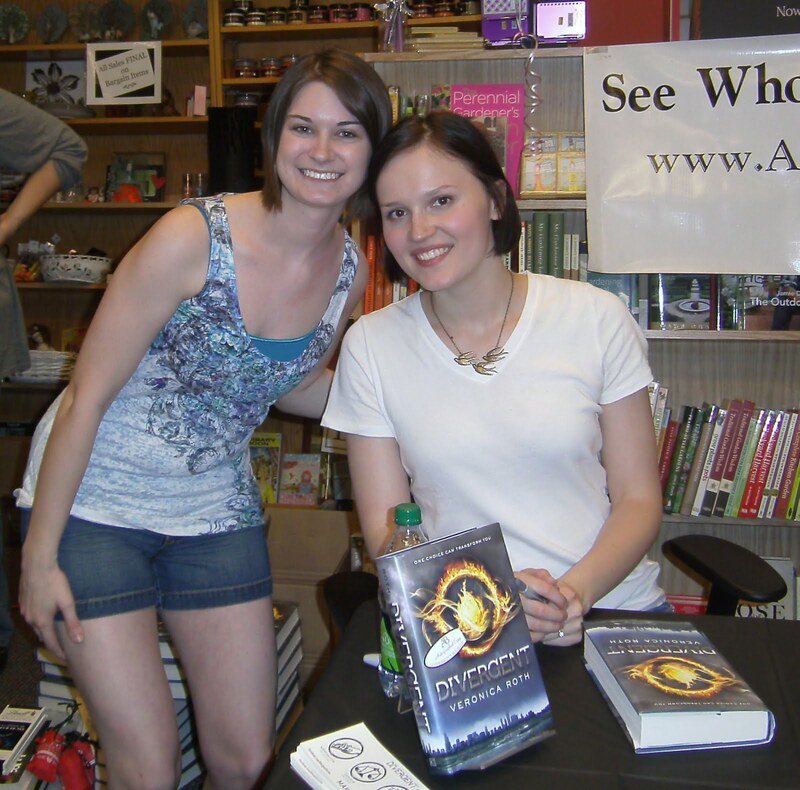 Veronica Roth and Myself- LOVE this book. And she is such a sweetheart. Below are a few pictures from the event. As well as a few answers from the authors during a Q&A session. The Question and Answer session was so much fun and very interesting. These authors are hilarious. They had the crowd laughing the entire time. Amy Plum, Tara Hudson, & Ellen Schrieber always knew what ages their characters would be. Aprilynne logically worked out what age her character was going to be based on how many books she was going to have. Veronica Roth said she wanted Tris to be 16 because it that aged seemed like an "awful" idea for someone to choose what to do in life. And it was the Book Birthday of Hereafter that day also! It was very exciting to have Tara there talking about the book. I hadn't preordered it so I bought it after hearing her talk about it! Sounds like a fantastic read. I went home with every book except for Ellen Schreiber's 8 Cryptic Cravings. 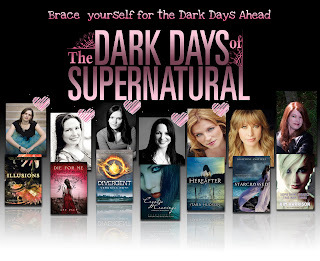 I hadn't read that series yet, but maybe one of these days will get the chance to read them! 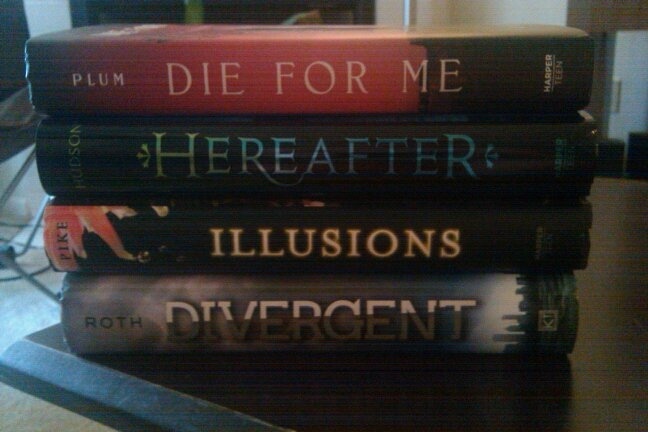 Also came home with some cool swag: Signed bookmarks, bracelets, and Divergent tattoos. This trip was fantastic and I can not wait to attend my next book event! If the Dark Days of Summer Tour is in your area be sure to check it out- you won't be disappointed. I'm glad you had fun visiting the Dark Days of the Supernatural tour. I wish I lived in the US or somewhere the tour passed by. I've been dying to get my hands on a hardcover copy of Die For Me, Starcrossed and Hereafter.